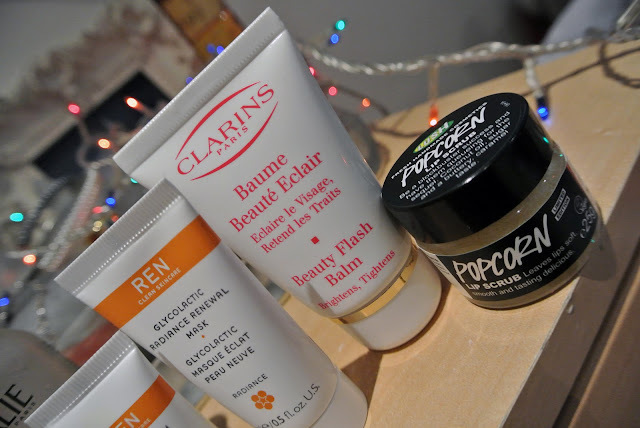 Hello 2013, waking up this morning i decided to give my skin a treat by giving it a new year refresh. I started off my cleansing my face with REN Micro Polish Cleanser, as part of REN radiances skin care line with is a exfoliating cream that left my skin leaving really soft. This is a sample size i used i'd its something i'd be interesting in trying again. Next i applied REN glycolatic radiance renewal mask, this is a gel mask that smelt of oranges, yummy. 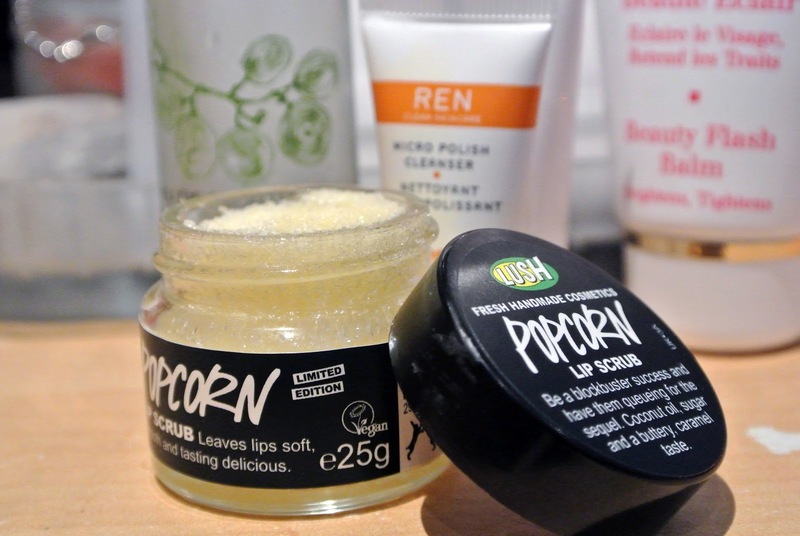 I also tried out Lush's popcorn lip scrub, this is like an exfloliater to leave you lips soft, it also tastes pretty good too! I had a spritz of Caudalies beauty elixir for an instant refresh followed my smoothing on Clarins beauty flash balm. Is the popcorn scrub any good? I've never had the best luck with lip exfoliators but I've never ventured to Lush!